Present : PhD researcher at Dynamique Du Langage, co-supervised by Gérard Philippson (DDL) and Maarten Mous (University of Leiden). Title of the research project: A grammar of Hamar (completed 10/11/2016). 2013: Attendance at the 8th Leiden Summer School in Languages and Linguistics, The Netherlands. 2011: Master in African Linguistics at Leiden University, The Netherlands. Title of the dissertation: Multilingual production among the Iraqw of Tanzania. Supervisor: Prof. Maarten Mous. 2009: Attendance at the International Summer School in Language Documentation and Description hosted by the School of Oriental and African Studies, London. 2008: Attendance at the International Summer School in Language Documentation and Description hosted by the University of Lyon. 2007: BA Degree in African Languages and Cultures at the University of Naples “L’Orientale”, Italy. Title of the final dissertation: Grammaticalization and linguistic contact: the comparative constructions in Kinubi and in the Arabic-based pidgins and creoles. [Grammaticalizzazione e contatto linguistico: le strutture comparative in kinubi e nei pidgin e creoli arabi]. June 2011: Attendance of the conference ‘Rethinking contact induced change’ organized by the Leiden University Centre for Linguistics and sponsored by Brill publishers. April 2011: Attendance of the NWO-ELP conference on Language Documentation and Description at Leiden University Centre for Linguistics. August 2009: Attendance at the World Congress of African Linguistics (WOCAL), held at the University of Cologne, Germany. November 2009: Attendance at the first APiCS conference (Atlas of Pidgin and Creole Language Structures) held at Max Planck Institute for Evolutionary Anthropology, Leipzig. August 2007, 2008, 2009, 2010, 2011, 2013: Attendance at the Colloquium on African Languages and Linguistics (CALL) organized by Leiden University Centre for Linguistics, Leiden University. January - July 2013: Ethiopia, South Omo among the Hamar people. July-August 2012: Tanzania (Manyara district, Mbulu) among the Iraqw people. January-April 2010: South West Ethiopia among the Hamar people. February 2008:	Tanzania among the Iraqw people in order to collect data on Iraqw-Swahili multilingual production. January 2008: Tanzania with prof. Maarten Mous in the attempt to trace the Aasá people and their language, funded by Leiden University Fund. 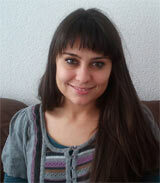 2012: Research assistant at Leiden University Centre for Linguistics. 2011: Student assistant at Leiden University Centre for Linguistics. 2008 - 2010: Contributor to the Atlas of Pidgin and Creole Language Structures (APiCS) at Max Planck Institute for Evolutionary Anthropology, Leipzig. March, 2016: Paper presented at 47th Annual Conference on African Linguistics, University of California, Berkeley. Title: Between Tone and Stress in Hamar. February, 2016: Paper presented at The Grote Taaldag, Utrecht. Title: Existential predication in Hamar. January, 2016: Paper presented at the workshop on gender and classifiers: diachronic and synchronic variation, Surrey Morphology Group, University of Surrey. 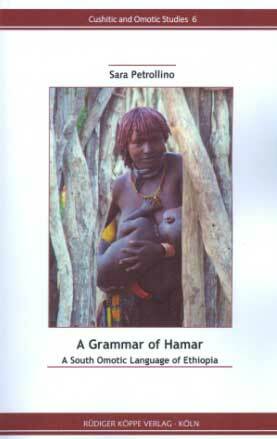 Title: The noun classification system of Hamar: between gender and classifiers. August, 2015: Paper presented at the 45th Colloquium on African Languages and Linguistics, Leiden. Title: The noun classification system of Hamar. November, 2011: Lecture at Leiden University Centre for Linguistics. Title: Multilingual Production among the Iraqw of Tanzania. June 2009: Paper presented in collaboration with Prof. Maarten Mous at the Conference on Sociolinguistics of Language Endangerment held by the Comité International Permanent des Linguistes (CIPL) at the School of Oriental and African Studies, London (see publications). July 2008: Paper presented at the 1th Conference on Fieldwork Methodologies in Africa held by the Department of Asian and African studies, University of Naples “L’Orientale”. Title: In Search for the last Aasá people in Tanzania. Petrollino, S., 2011, "Multilingual production among the Iraqw of Tanzania", MA Thesis, Leiden University Centre for Linguistics, Leiden University, Leiden, 92 p.